Mahahual’s environment, made unique by its biodiversity and extraordinary ecosystems, is at the core of the local tourism and economy. That being said, the recent expansion of mass tourism poses a threat to the fragile ecological equilibrium of Mahahual. Therefore, it is crucial to protect its integrity in order to insure its full natural, social and economical value. In order to help solve this environmental crisis and insure a prosperous future to the town’s incredible natural heritage, Takata research center created an eco-certification program in order to help local businesses in their journey towards eco-responsibility. Participants wishing to obtain Takata’s Eco-Mahahual Certification can achieve four level of recognition, depending on their involvement. These businesses will implant a variety of actions regarding residual materials management, responsible sourcing and sustainable use of energy and water. Takata’s team offers the tools and support needed in order to reach the environmental goals of each establishment and help them obtain their desired Eco-Mahahual Certification. By participating in the Eco-Mahahual program, local businesses take a stand in favour of a more sustainable form of tourism. 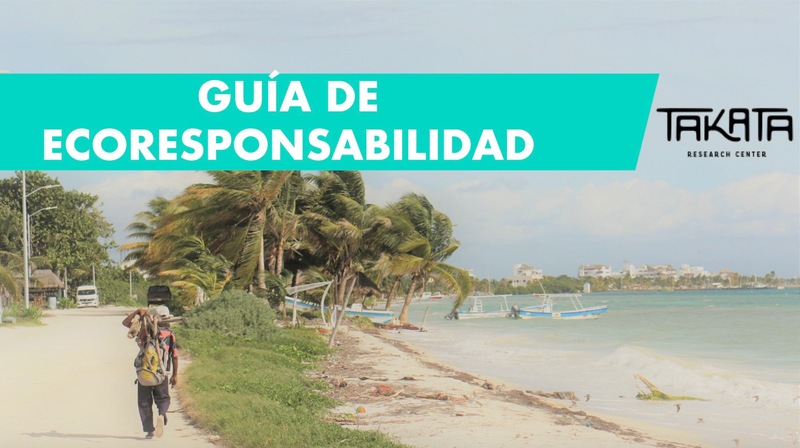 It’s a testimony of their commitment towards the region’s environmental integrity, the city’s economic prosperity and the actual and future well-being of Mahahual’s community.